At Dog Child we understand that in today’s fast paced world it is sometimes hard to find time to give our dog children all the attention they deserve. Whether you are stuck late at the office, need to go on a trip, need occasional /daily care, or have a cute puppy that just can't hold it-- Dog Child will be there! Choose from a variety of services to find the best option to fit your and your dog child's needs! See our Rates & Services page for more information! 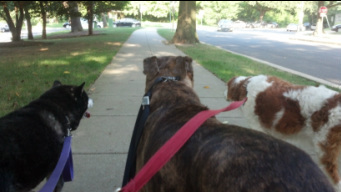 Group Walks-socialization is key to fostering a healthy temperament in your dog child which is why we offer and encourage group walks with your neighborhood companions. Individual Walks-some pups need their alone walk time, such as puppies, senior dog children or a dog child that is rehabilitating physically or emotionally. We provide tender loving individual care and will work with you to help transition your dog child to group walks if possible. Lots of TLC-Affection and attention is part of our core competencies in providing our dog children seamless care. 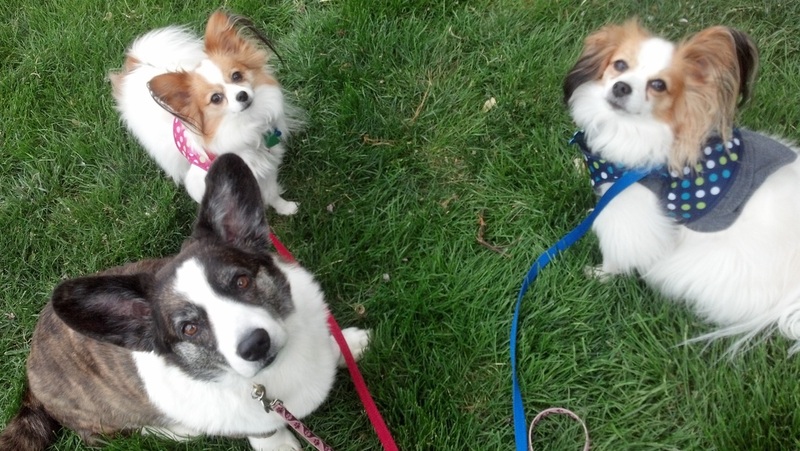 We love giving back rubs, belly rubs and the occasional treat for good behavior. Puppy Care-the first year of a puppy's life is an important time to properly reinforce their positive behavior through managed care. Become part of our pet loving community. Feel free to ask questions, share ideas or introduce us to new friends through our Contact Us page! "...Since day 1 they have been professional, prompt, kind to our puppy, and super flexible. When our neighbors see us walking our dog, many of them pull us aside and say that our dog walker...is friendly and great! " "There is no need to look any further for your pet. They are professional, friendly, and it is quite clear that our dog loves them and is doing quite well adjusting to being home alone all day alone (I used to work from home)." Copyright © 2010-2019 Dog Child LLC. All Rights Reserved.